The Criminal Division consists of the Trial and Investigative Unit, the Appellate Unit and the Medicaid Fraud and Residential Abuse Unit. The Trial and Investigative Unit handles a wide variety of cases with focus on matters that are (1) statewide or multi-jurisdictional in nature, (2) require significant resources beyond those normally available at the county level, or (3) involve a conflict of interest for a State’s Attorney’s Office. The Unit also serves as the primary prosecution agency for the Vermont Drug Task Force, which concentrates on large-scale drug investigations at the local, state, and federal levels. In addition, the Unit priorities include homicides, child sexual assaults, computer-related crimes, serious felonies involving the use of firearms, domestic violence, elder abuse, and matters involving public misconduct or corruption. This Unit also reviews all incidents involving the use of deadly force by law enforcement officers. In addition, the Unit also provides support to other law enforcement and prosecutorial agencies through training and general consultation. The Appellate Unit handles appeals from criminal cases on behalf of the State. The unit handles appeals from cases prosecuted by the Attorney General’s Office and many from the county prosecutor offices. The Unit specializes in appeals from homicides and other serious felonies and also cases involving significant statewide issues. 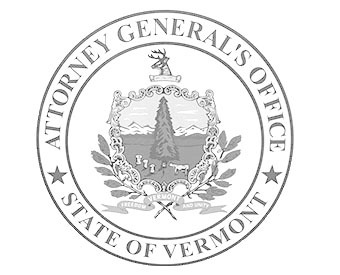 Vermont’s lobbyist registration and disclosure law applies to certain communications with and activities directed at the Attorney General. Prior to any interactions with the Office of the Vermont Attorney General, you are advised to review Title 2, Sections 261-268 of the Vermont Statutes Annotated, as well as the Vermont Secretary of State’s most recent guide to compliance, available at https://www.sec.state.vt.us/elections/lobbying.aspx.